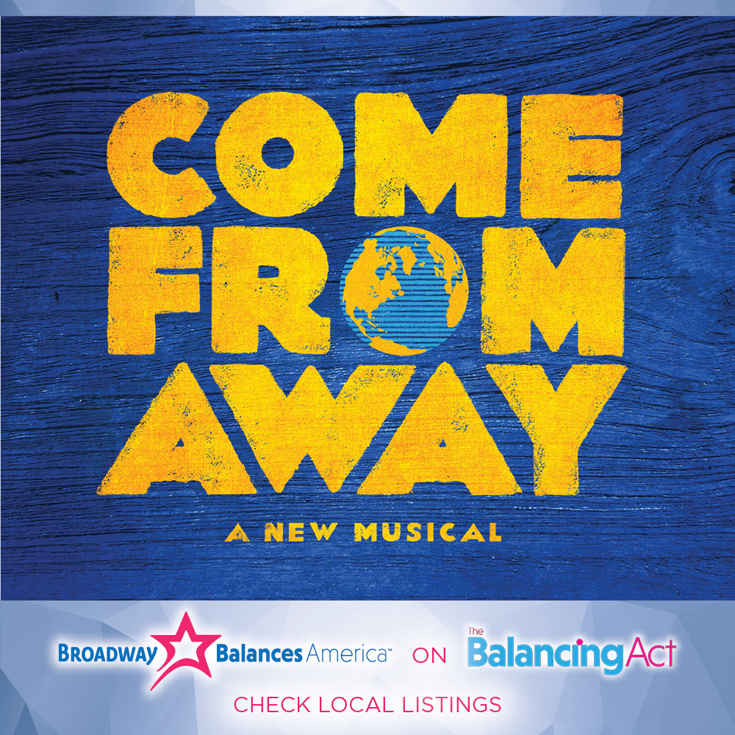 Broadway Across America’s Telly Award-winning collaboration with The Balancing Act, the award-winning morning show on the Lifetime Channel, continues season five of the five-part series Broadway Balances America with Come From Away. This new episode will re-air on October 30 at 7:30AM (ET/PT). The touring production of Come From Away is traveling to cities all across the U.S. and Canada. During this segment, Broadway Balances America explores the remarkable true story of 7,000 stranded airline passengers and the small town in Newfoundland that welcomed them in the days following September 11, 2001, through the lens of the award-winning musical Come From Away. Learn how creators Irene Sankoff and David Hein and producer Sue Frost compiled 16,000 stories from this five-day period and ended up with an uplifting 100-minute musical featuring an ensemble of 12 actors. Meet American Airlines Captain Beverley Bass, whose flight was grounded in Gander, and Becky Gulsvig, who portrays Bass’ character on tour. Experience an up-close look at the people who continue to share the story of a tragedy that changed the world and how one small town came together and created community—instilling hope in all who bear witness to it. Broadway’s Come From Away is making its way all across North America! This New York Times Critics’ Pick takes you into the heart of the remarkable true story of 7,000 stranded passengers and the small town in Newfoundland that welcomed them. Cultures clashed and nerves ran high, but uneasiness turned into trust, music soared into the night, and gratitude grew into enduring friendships. Don’t miss this breathtaking new musical written by Tony Award nominees Irene Sankoff and David Hein, and helmed by Tony Award-winning Best Director, Christopher Ashley. Newsweek cheers, “It takes you to a place you never want to leave!” On 9/11, the world stopped. On 9/12, their stories moved us all. To find out when Come From Away is headed to your city, click here.